Derby-born Berry started as a schoolboy with Notts County but launched his career at Aston Villa’s academy, initially playing in the youth team as a striker but later successfully moving to right-back. A versatile performer, he also played on the wing and was an important part of the Villa team that reached the FA Youth Cup Final in 2009-10. 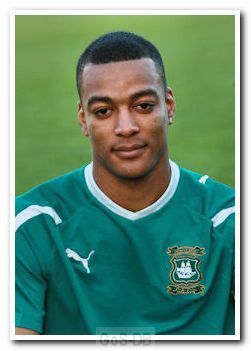 However, he could not break into the first team and was released, joining Argyle on a twelve-month contract. 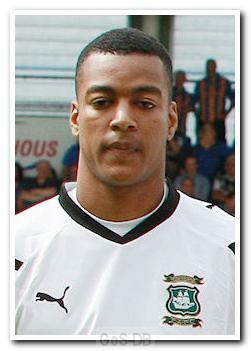 Berry began his first season at Home Park as the first-choice right-back, before briefly losing his place to loanee Paul Bignot. However, he returned to the team and made the position his own with some impressive performances, which also saw him finish as runner-up in the Young Player of the Year voting. Berry proved a consistent performer in what even diehards might admit, was a particularly modest Argyle side and was handed a new deal by Carl Fletcher in June 2012. 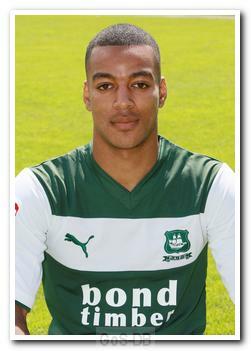 Berry missed pre-season due to a knee injury but became a regular under John Sheridan’s stewardship after he replaced Fletcher. He snubbed Argyle’s contract offer at the end of 2013-14 season yet failed to find a new employer until November when Conference Premier side Torquay United signed him up on non-contract terms. Berry made 12 appearances for the Chris Hargreaves' Gulls side before jumping at the opportunity of a return to the Football League with relegation-threatened Cheltenham Town in League Two. Former Torquay manager Paul Buckle made him his first permanent signing in January 2015, but Berry was released following the Robins’ relegation from the Football League at the end of that season. In September 2015 he returned to Torquay in the newly named National League on a deal until the end of the 2015-16 season, but six months later he suffered a broken leg in a match at Dover. Although Berry was out of contract that summer, the Gulls' were keen to find the money to retain his services and in the meantime provided facilities to aid his recovery. In November 2016, seven months after his double fracture, the 24-year-old signed on a non-contract basis for Truro City to allow him to regain full match fitness, whilst Torquay player-manager Kevin Nicholson continued to seek the funds to bring him back. However, a month later he left Truro by mutual consent. In July 2017 Berry signed for Kettering Town in the Southern Football League Premier Division (tier 7 of English football). By then part-time, a bad achilles injury ended his season but a player-led crowdfunding effort, supported by the fans, helped see him through Christmas and kept him at the cub through his rehabilitation.